Sensational Touch Janitorial is a full maintenance company. We offer floor maintenance, i.e. strip & waxing, burnishing, concrete polishing, tile & grout cleaning, carpet clean, pressure washing and window cleaning. We also offer restoration services including sheet rock repair, carpet repair and painting. We use some of the most environmentally friendly “green” sanitation to industrial cleaning products. We come fully prepared for each job in uniform and leave the facility looking dazzling. 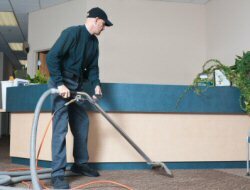 Commercial Office Cleaning for Greensboro, NC and surrounding locations such as Kernersville, Winston-Salem & High Point, NC! 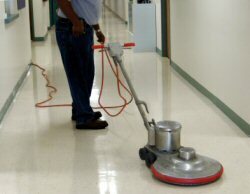 We detail clean any type of facility or institution up to seven days per week. We develop, implement, and manage competent and efficient building maintenance schedules which incorporate feedback mechanisms. We shampoo, steam-clean, vacuum extract, dry clean, dry hosp, spin-bonnet, encapulation, stain and odor removal, scotchguard protect your carpeting, mats or upholstery. We strip, seal, wax, polish, burnish and hone specific flooring materials. Floors we work on include, Terrazzo, VCT, vinyl, VAT, hardwood, ceramic, concrete, terracotta, slate, marble, rubber, no wax, electro-stactic discharge and elevated. 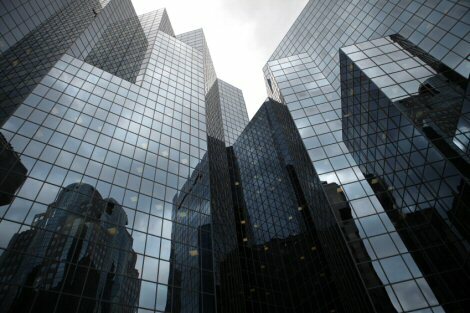 Interior and Exterior washing available no matter what the size of your building. 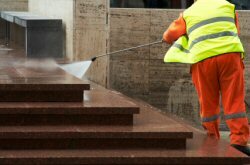 Low/high pressure, hot/cold water and chemical applications to clean concrete, brick, stone, stucco, including driveways, sidewalks, patios, walkways, building exteriors and shower locker rooms. Touch up, refresh, restore or general painting of various surfaces are also available. As a special note: We work with Thomas Enterprises of Greensboro, Inc., which allows us to provide short and long haul logistics for additional services that your company may require.